App marketers today, are plagued with poor user retention rates. A recent survey conducted by InMobi across 800+ global app marketers found that 55% of the respondents found user engagement and retention to be the biggest challenge faced by them today. In this intensely competitive app market, where your success relies on repeat-users, getting your Remarketing campaign right is key to driving incremental revenue as you nudge users through their app journey. 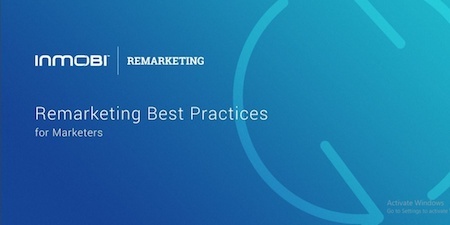 As your trusted remarketing partner sets up your campaign to win back your customers, we offer you 10 best practices that any app marketer across industry verticals can apply to optimize your In-App Remarketing campaigns and drive incremental revenues. Here's a sneak peek while you wait for your download.